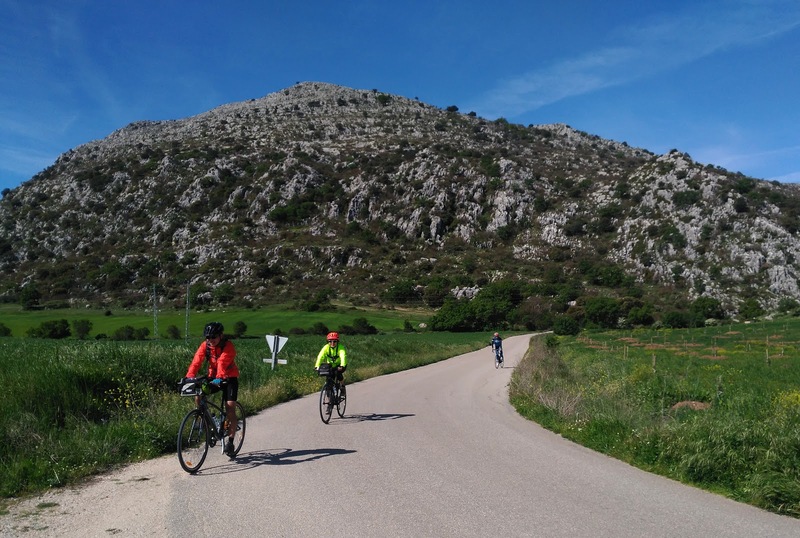 Cresting over the Southern Spain’s Sierras is like a religious experience for a cyclist, from the African infused winds to the pulsating warm vibe of Andalusia’s Mediterranean coast, this captivating landscape makes all the hills worthwhile. 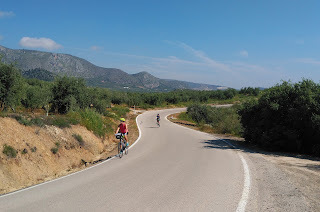 In fact, most of the routes you ride in Andalucia will convert you to two wheel trips - it’s that inspiring. Hearty climbs in the Sierra Nevada that gets the Spanish Vuelta cycle racers in a lather and ascend like launch pads into the blazing light exist alongside quiet muscle friendly ex railway paths with their far flung reaching panoramas which almost make you ashamed that you didn’t have to climb a hill to experience these kinds of vistas, Without doubt, Andalusia has a variety of cycling choices. More than just beaches, bullfights and bravado, from its religious festivals, pinky prawns barbequed off the harbour boats and ancient trails, there is something for everyone here and that is not even taking a breather at a tapas bar yet. 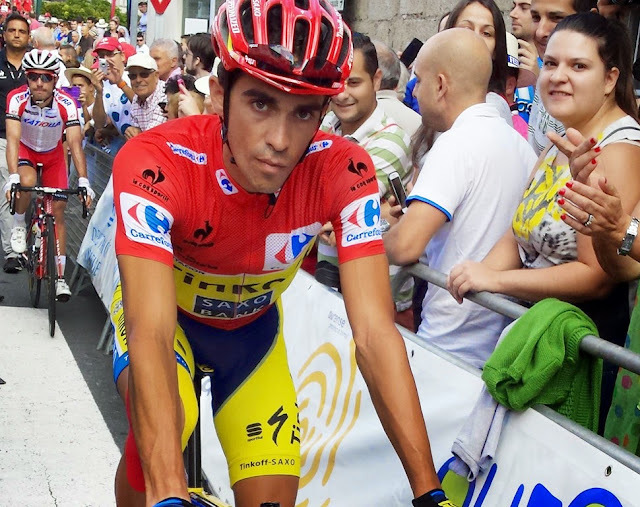 But perhaps the best of it is sharing an “Animo, Animo” or welcoming “Buenas Días!” with the other cyclists who proliferate the roads here. For those wanting to explore this region of Moorish legacy one of the best ways is to bike between the three great and ancient cities of Sevilla, Cordoba and Granada. Folklore says Hercules created Seville, but you’ll soon forgot Greek mythology when the mammoth Gothic cathedral comes into view, its Arabic tower, the Giralda, stalwart above the city. With the wafting scent of oranges and perhaps a strain of music from Carmen (if the city could it would sing its own soundtrack), you ride out through the most fertile countryside with friendly shepherds and the shadow of Christopher Columbus, keeping you company. Cordoba is a city that should feature on every cycle tourist’s route, as not only is it a most bicycle friendly place, but also was the Moorish cultural epi-centre in Europe and the heady evocativeness of Arabian Nights and romantic tales still permeates its courtyard gardens. The medieval Jewish quarter is a maze of warm lights in an evening twilight and the 8th century Mezquita, one of the world’s most lovely places of worship, is an alluring forest of arches. Tour around the ancient crumbling city walls and stretch the legs beside the bubbling fountains before spending time in a cosy local tavern where bull fighting memorabilia crowds the walls. 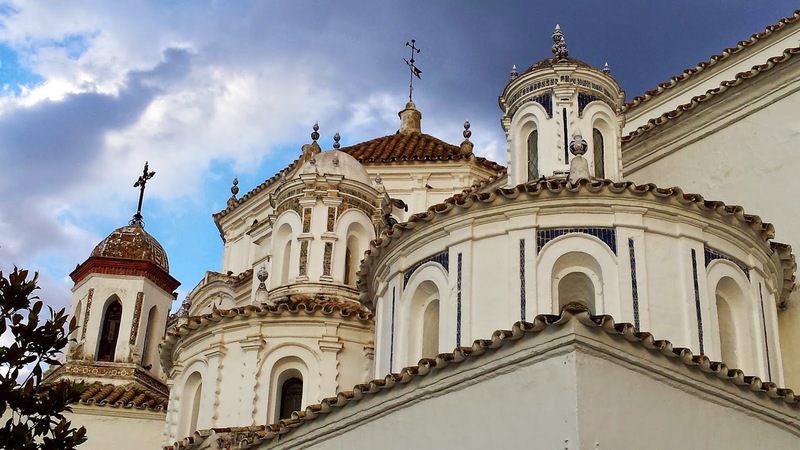 Likewise the bike route to Granada, the royal city of moors and medieval monarchs passes the vestiges of civilizations gone by, with Paeolithic cave homes, Roman olive groves, Arabic watchtowers and Baroque curly qued churches. 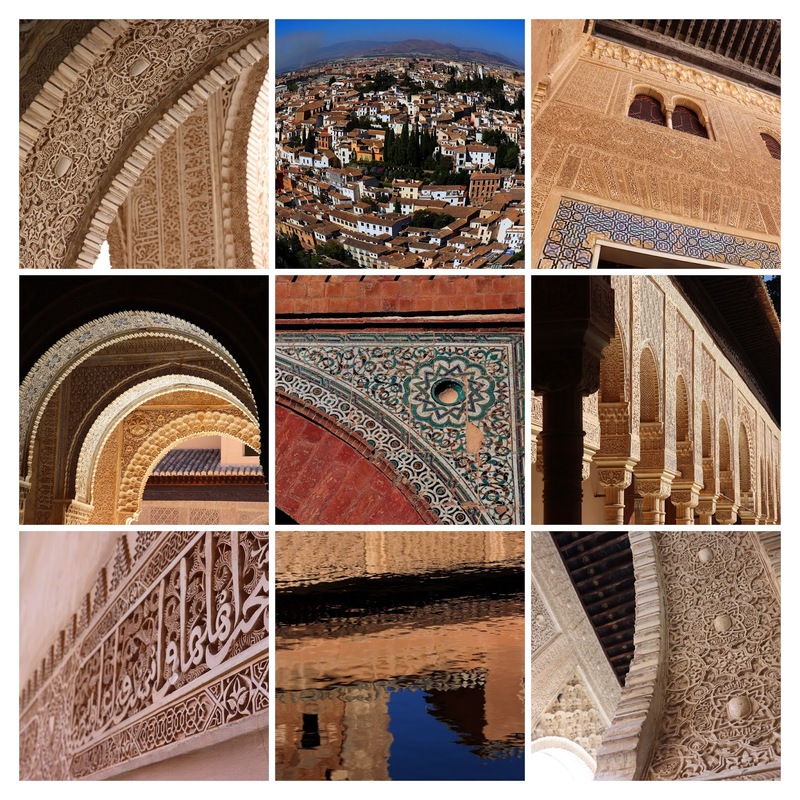 However, the highlight for travellers, be they on two wheels or not, is the city itself, a visual treat, its snow capped Sierra Nevada back drop nestling one of the worlds most beloved palaces, the enchanting Alhambra Palace. Park your bike and wander its fragrant Generalife gardens and breath in the panorama vista from its balconies. Then stroll down and explore the pretty Cathedral area, where sun soaked squares are lined with cafes, and after all the pedalling you’ve done, allow your self to indulge in a sticky honey Arabic pastry. For those wanting to escape city streets, Andalusia is well equipped to cater for this and being one of the least populated areas of Spain, there are miles and miles of National parks, back roads, and bike paths. 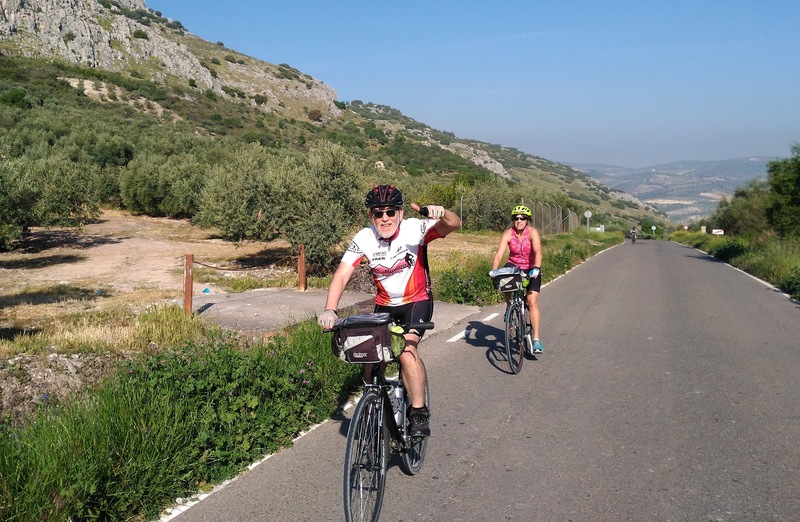 Cycle from Ernst Hemmingway’s muse of Ronda, a pretty white washed town perched on a prodigious gorge, through the rustic setting of the surrounding National park of the Sierra Nieves, where the pine trees whisper and the hawks swoop and dive. Or for thrill seekers plummet through the Coastal Range of the Sierra Tejeda plunging headlong down the winding mountain paths, and villages hugging the hillsides with the Costa Tropical and Mediterranean Sea in sight. Even if you try it the other way biking from Almeria’s desert terrain, Laurence of Arabia’s film set with its wild west cacti and sandy beaches, up to the chilly peaks and cave homes in the Alpujarras and beyond, you’ll be won over by this tremendous scenery and the living tapestry of the Al-Andalus legend all to be explored from the saddle.